Glyn is one of two Managing Directors at Latics Driver Training and he has been a driving instructor since 1999. He spends most of his time out on the road teaching learners. He’s a big Oldham Athletic supporter and goes to as many games as he can. 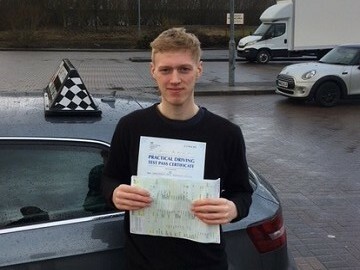 Glyn has the patience of a monk and oozes calmness so you’ll feel totally at ease on your driving lessons! Three words to describe me: Too easy going! 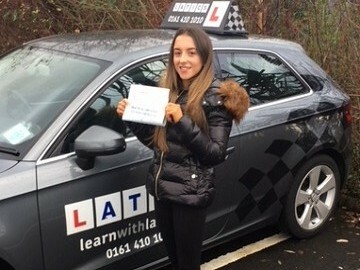 Glyn gives driving lessons in Chadderton, Middleton, Royton, Oldham, Shaw, Blackley, Failsworth, Fitton Hill, Hathershaw, Hollins, Hollinwood, Limeside, Moston, Newton Heath, and Sholver. First time & 2 faults! 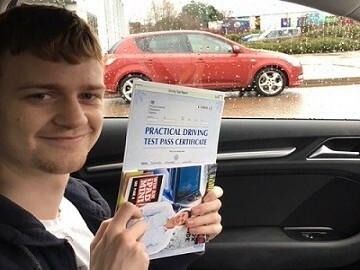 Well done 1st time pass! 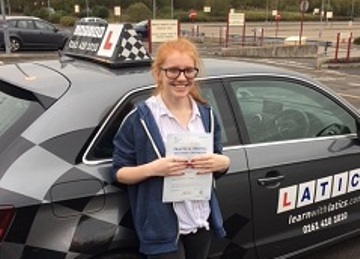 Fab 1st time pass Emily!